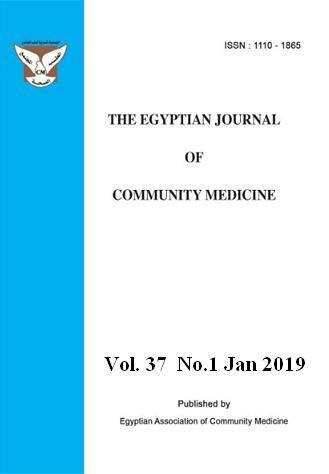 The Egyptian Journal of Community Medicine EJCM is published by the Egyptian Community Medicine Association. The journal is published on three monthly bases and covers a wide spectrum of research papers addressing key public health issues and priority topics. It is a multidisciplinary peer-reviewed journal. It publishes original papers, reviews and short reports on all aspects of the science, and practice of public health. The journal strengthens the relationship between various actors in health development through linking community-based health research findings to policy climate.